We love when celebrities share throwback photos online and that includes our favorite Food Network stars. 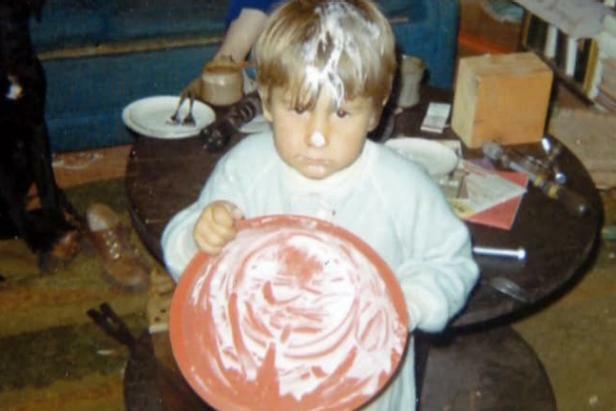 It’s priceless to see what the top chefs on television looked like before they could even pick up a whisk. While they might be glamorous chefs cooking for A-listers now, back in the day they were just as awkward and adorable as any of us. Just wait until you see the Pioneer Woman’s totally ’80s outfit. 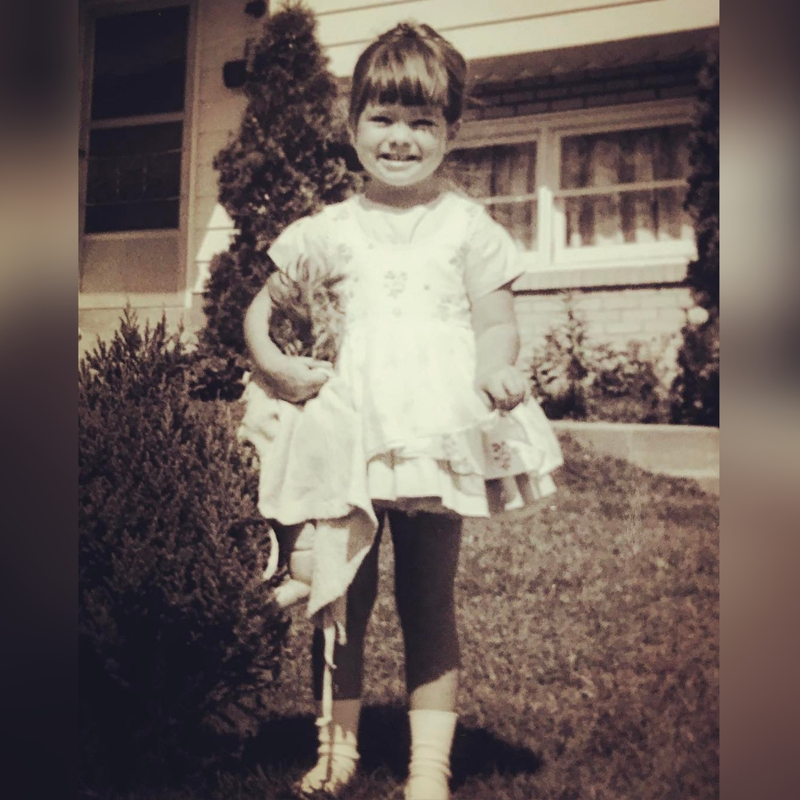 Before she was the host and judge on Kids Baking Championship, Valerie Bertinelli was an adorable kid herself! While many Food Network chefs started cooking from a young age, Bertinelli was more focused on acting. She landed her first acting role at age 15 on the sitcom One Day at a Time, and soon she was rich enough to afford her own personal chef! It wasn’t until her weight struggles that she began cooking and looking at food differently. The adorable, freckled Irish American boy you see in the photo is none other than Top Chef Bobby Flay. This photo was taken when he was around 10 years old. Flay had already embarked on his cooking career though because when he was 8, he asked for an Easy-Bake Oven for Christmas. His father didn’t think it was “manly” enough and wanted to gift him a G.I. Joe instead. Flay ended up receiving both toys for Christmas but we think we know which one he liked more. 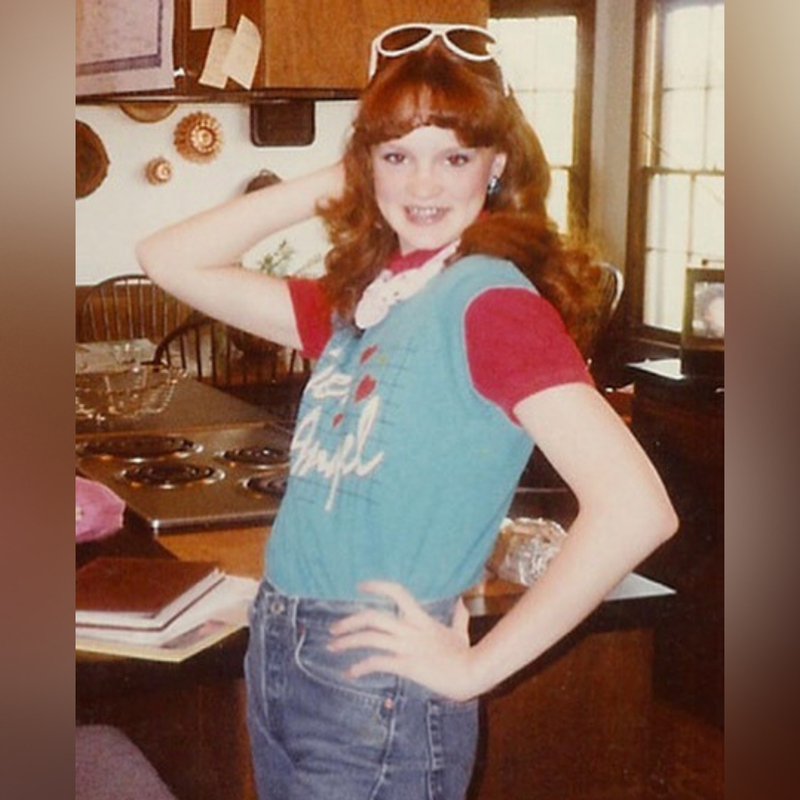 The Pioneer Woman AKA Ree Drummond truly encapsulated every 1980s kitchen with this throwback photo. 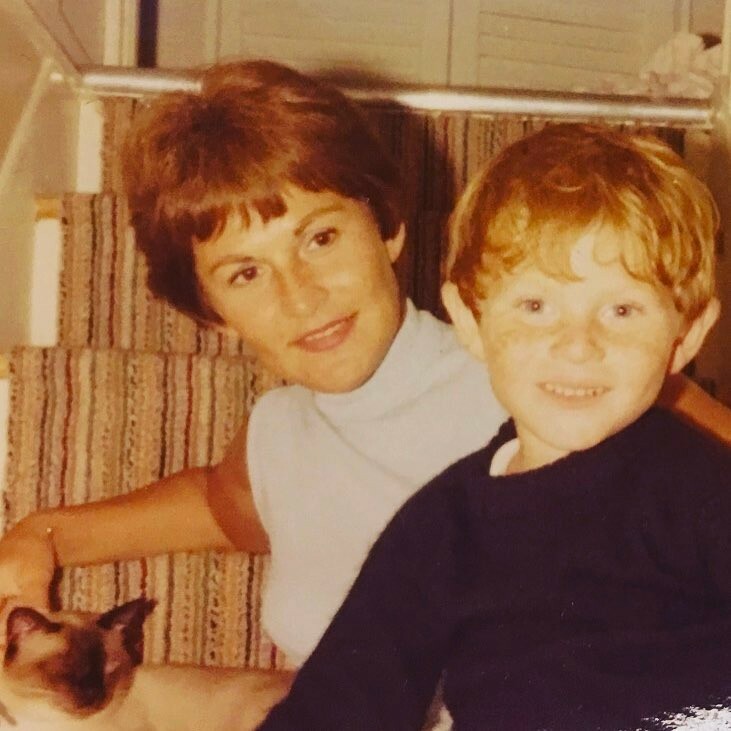 In her Instagram caption, she made sure to point out that her “mom had some awesome copper jello molds on her kitchen wall.” Didn’t we all? Drummond never set out to become the host of a top Food Network show. She studied journalism and wanted to go to law school, but after starting her Pioneer Woman blog in 2008, she found her true calling. 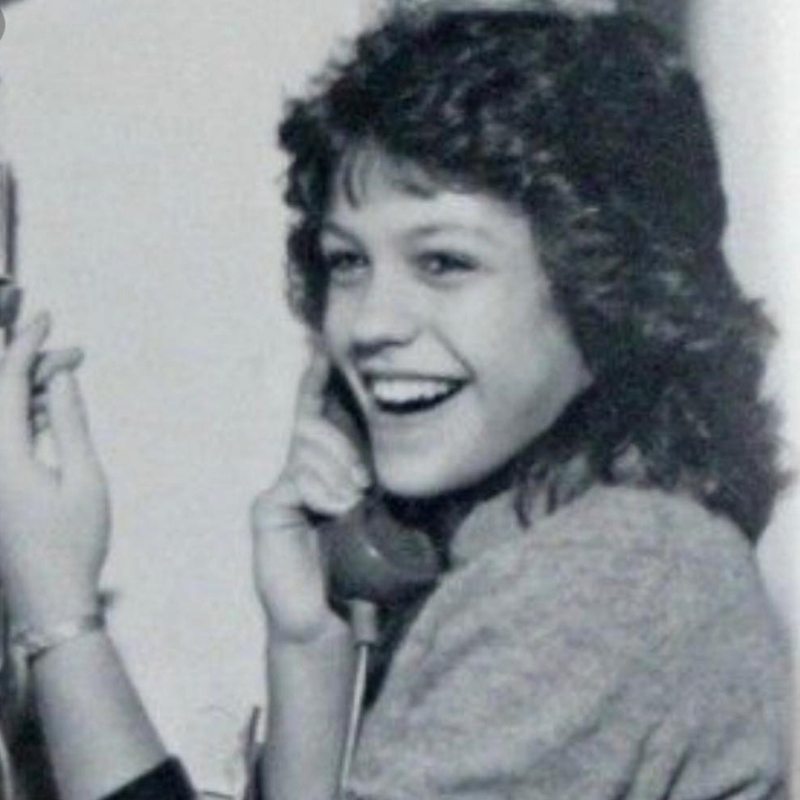 The first female Iron Chef is all business when it comes to cooking, but back in the ’80s she clearly knew how to enjoy a school dance. 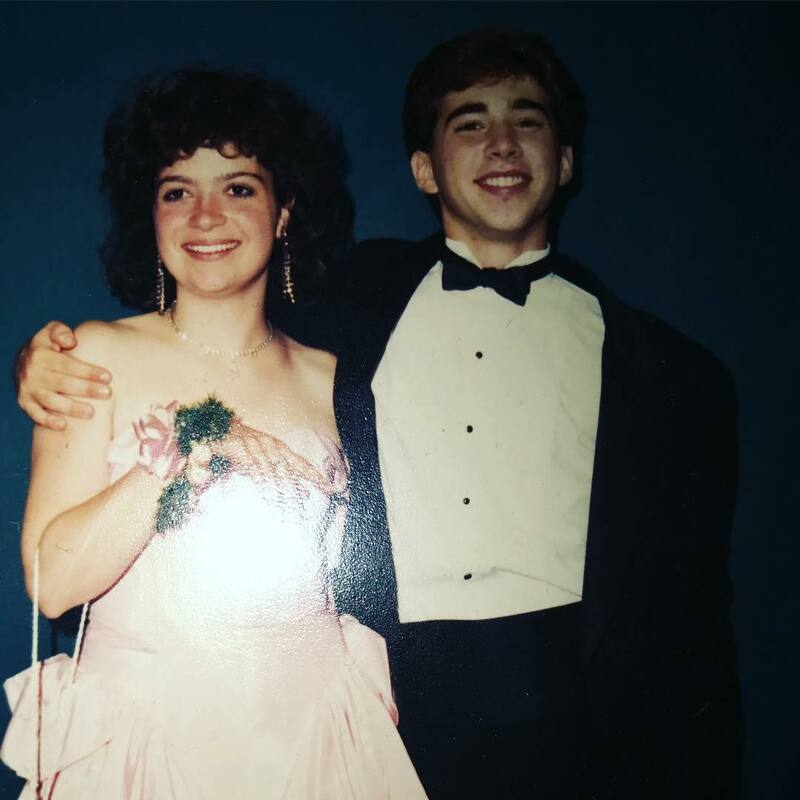 That perm and pale pink ballgown is screaming Molly Ringwald in Pretty In Pink and we love it. It’s definitely a change from her traditional chef’s coat and typical tough attitude that she has to have when she’s duking it out against some of the best chefs in the world. Is this Alton Brown the chef, or Alton Brown the romance novelist? This photo looks like it’s straight out of the back cover of a drugstore harlequin novel that features Fabio on the front cover. Maybe that’s because it’s his acting headshot from college. Before he was a cook, Brown was an actor and cinematographer. After being dissatisfied with the quality of cooking shows on tv, he decided to get into cooking and make his own show. 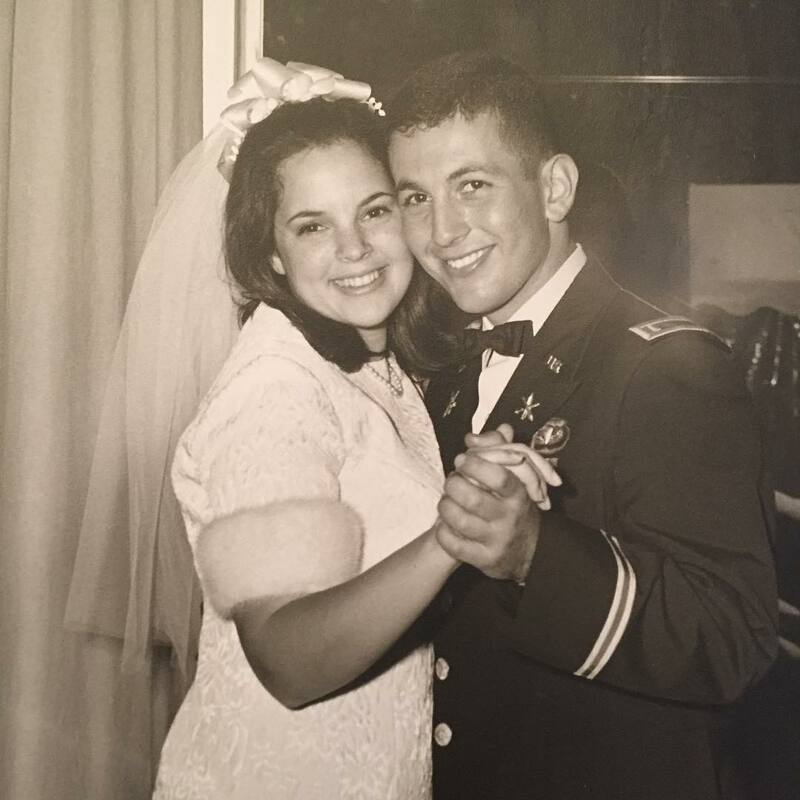 This snap of chef Ina Garten and her husband of 50 years melts our hearts like gruyere cheese. Garten met her husband when she was 15 and they married in 1968. He was serving a four-year deployment in Vietnam so Garten began cooking and entertaining to occupy herself. Garten held other careers in the White House after earning an MBA until 1978 when she had a mid-life change of heart and opening a food shop instead. That day, Fieri rod to the grocery store, picked up a few steaks and tried his hand at cooking. That’s one way to start a career. The Ace of Cakes used to be the Ace of Totally Rad Hair-Dos. 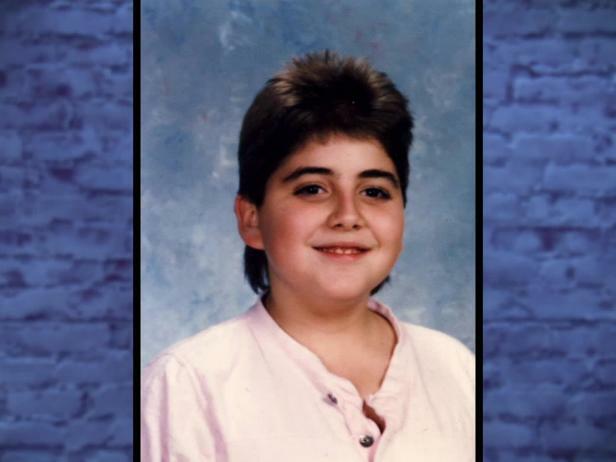 Duff Goldman has always had a unique personality and his childhood proves it. Goldman’s first brush with cooking came when he was four years old and his mother caught him wielding a meat cleaver in the kitchen. From then on it was all food, all the time. Goldman began working in kitchens when he was 14 then went on to graduate from two different culinary institutes. 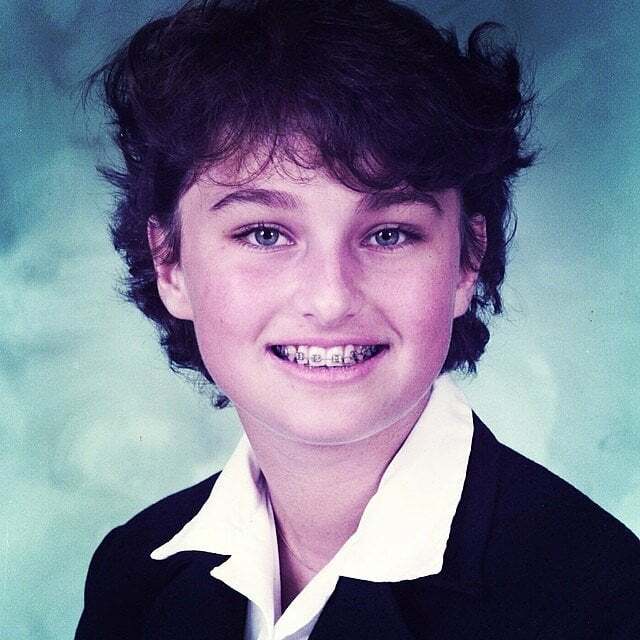 Born in Rome, Italy, Giada de Laurentiis actually took a big chance becoming a chef. 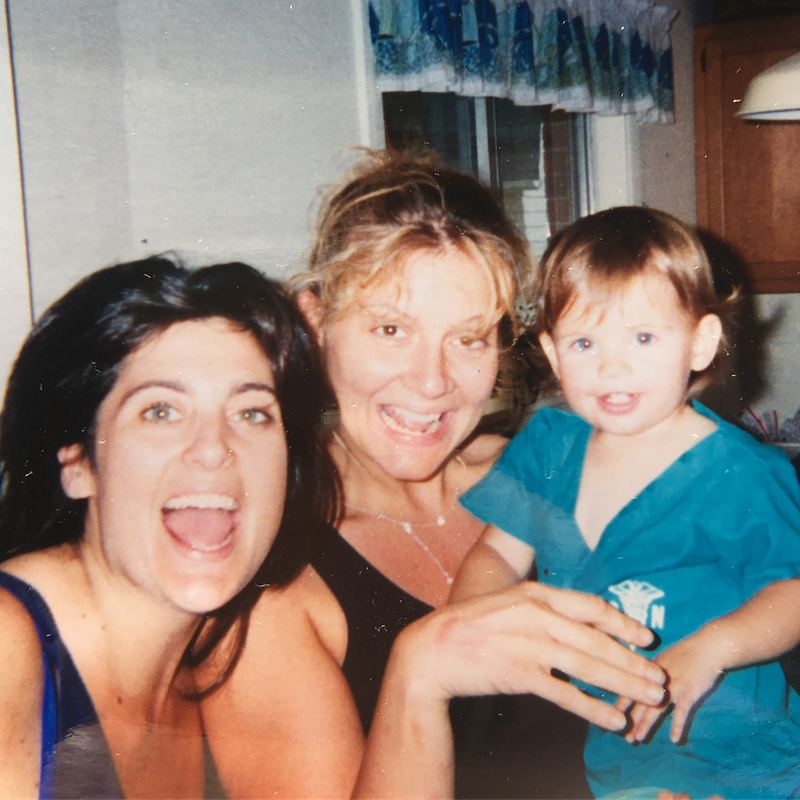 She was born into an acting family. Her mother is an actress while her maternal grandfather was a film producer. Instead of following in their footsteps, de Laurentiis said she was more inclined to spend time at her paternal grandfather’s restaurant. With her new-found love of food, she enrolled in Le Cordon Bleu culinary school in Paris. We wonder if she was sporting this ’80s look at the time? One of the hunkiest chefs and judges on The Food Network was just as good looking when he was a college student. 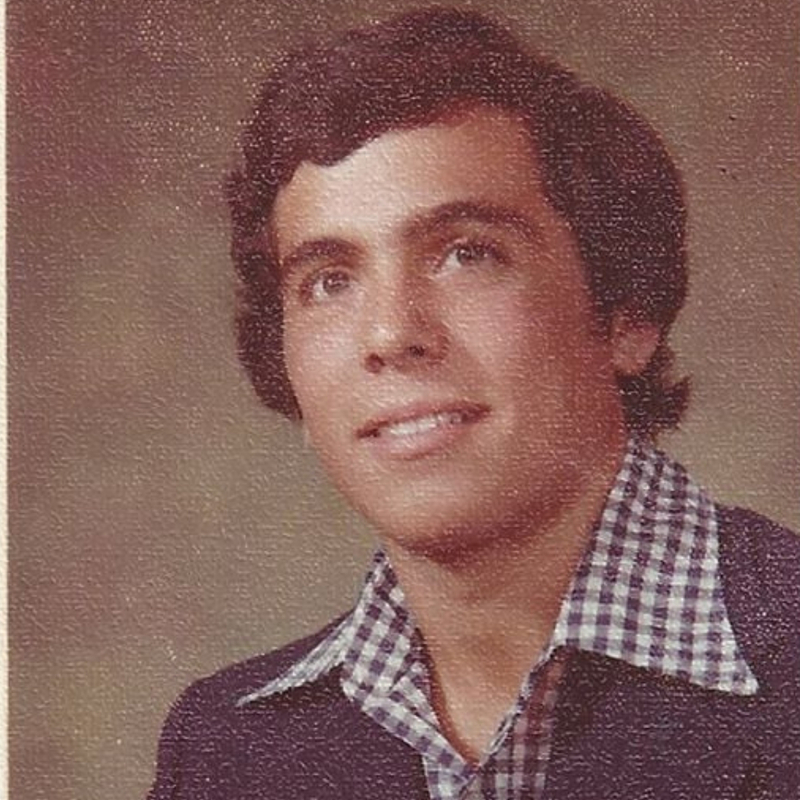 This throwback photo of Geoffrey Zakarian is from his time studying economics at Worcester State University. He left behind his economic degree to move to France and become a chef. Zakarian eventually returned to America to continue his culinary career and now is eye-candy on the Food Network’s Chopped. In 2011, he was named the winner of The Next Iron Chef. 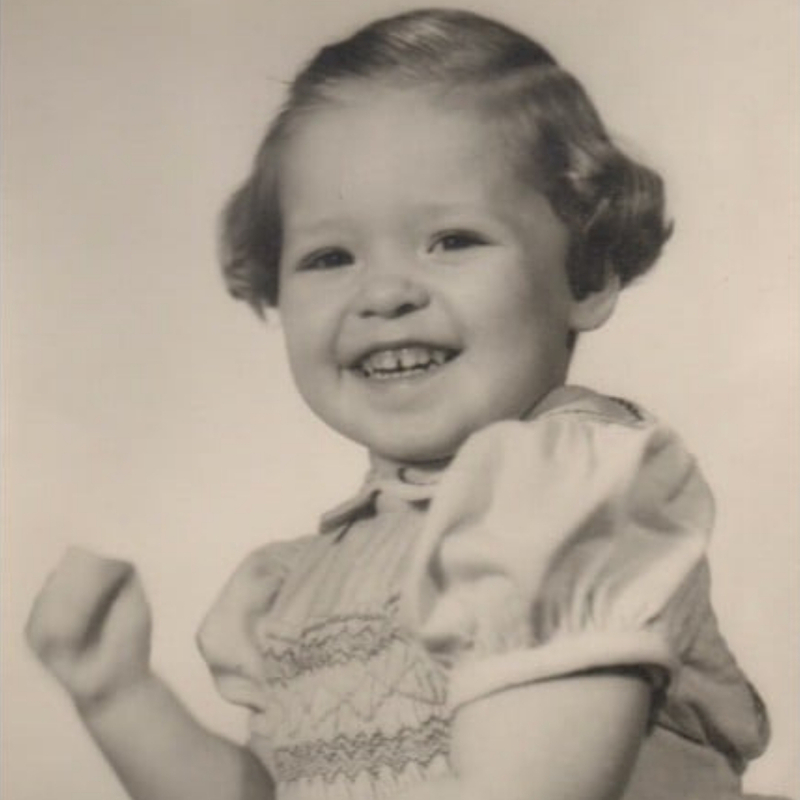 During her 2015 run on Dancing With The Stars, celebrity chef Paula Deen shared this photo of herself all dressed up. The photo was taken before she took up cooking seriously. When Deen was in her early twenties, both her parents tragically died and her first marriage ended in divorce. This led her to suffer from panic attacks and anxiety. To cope, Deen took up cooking for her family so she could keep herself preoccupied without leaving the house. 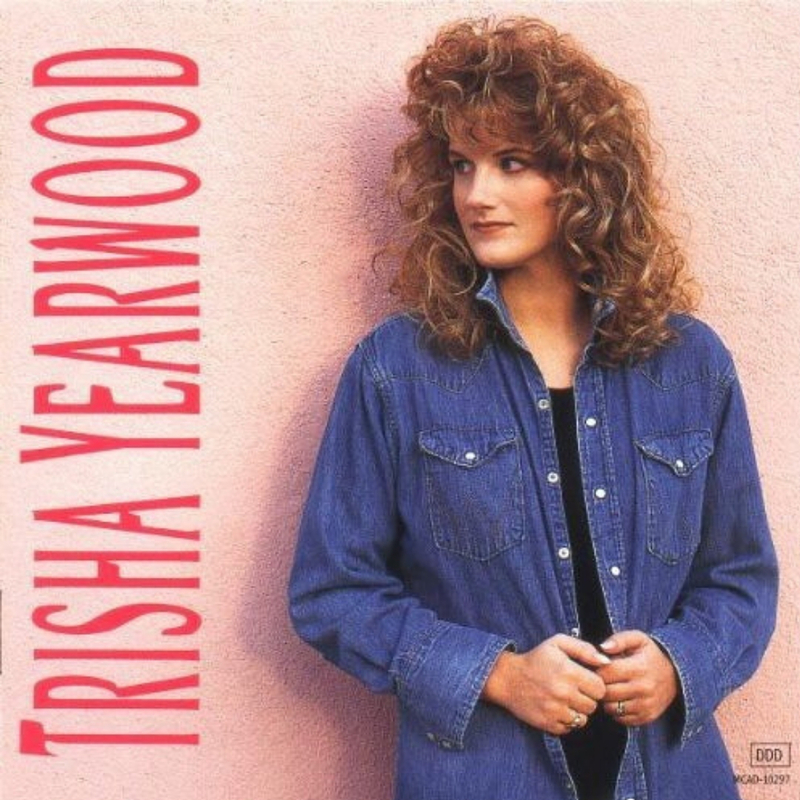 This throwback photo of Trisha Yearwood’s debut album reminded us all that she started out as a country singer before becoming a chef. Yearwood released her self-titled debut album in 1991 and has been a country powerhouse ever since. She’s sold 15 million albums worldwide and won numerous Grammy and music awards. It wasn’t until 2008 that she turned to cooking. Yearwood released her first cookbook that year and the second one in 2010. In 2012, she debuted her Food Network show Home Cooking with Trisha Yearwood. Chef and Food Network judge Amanda Freitag didn’t plan to become a cook until her home economics teacher suggested she apply to the Culinary Institute of America. 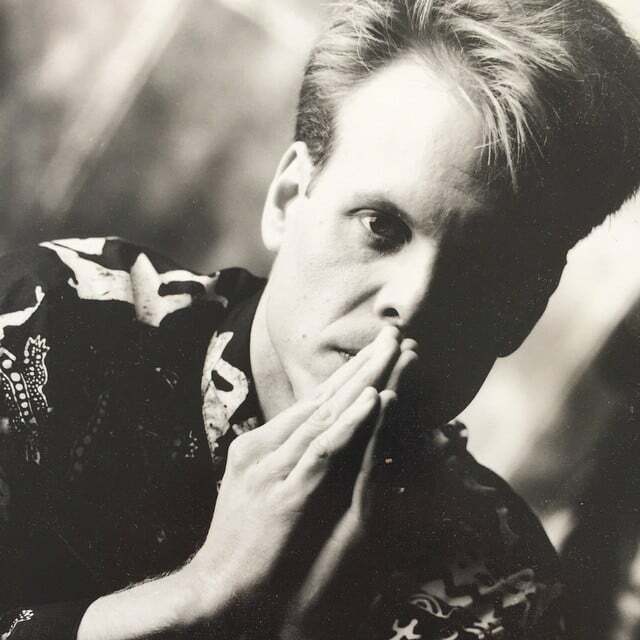 Freitag took the advice and graduated in 1989 and immediately got a job as a chef in one of New York’s top restaurants. 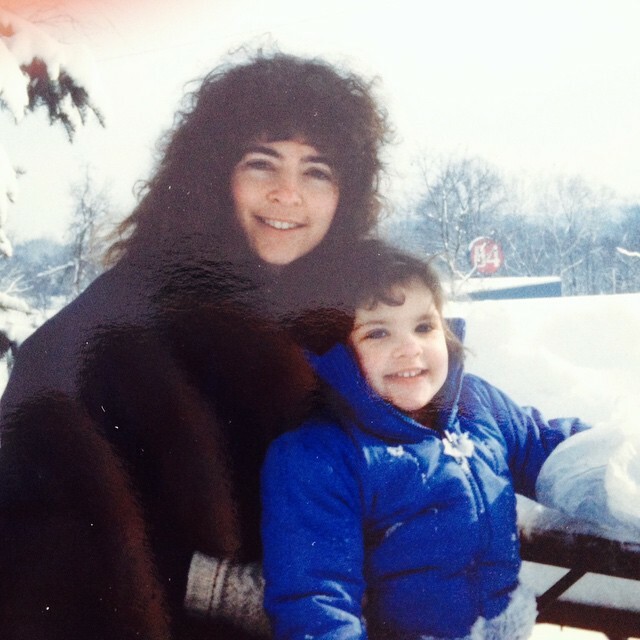 This throwback photo of Freitag and her daughter was taken just as she was working her way up the culinary ladder. Eventually, she ended up as an executive chef at The Harrison. 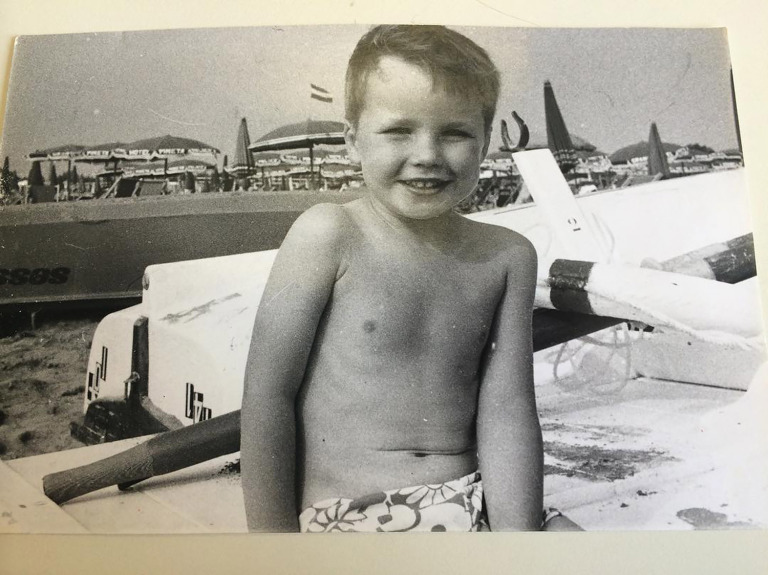 Born in Italy, this throwback photo of Marc Murphy shows the chef when he was young, tan, and lounging on the beaches of Milan. From a young age, Murphy knew he wanted to become a cook and so he moved to New York and attended the Institute of Culinary Education. In no time, Murphy graduated and became a sous-chef then executive chef. Finally, in 2004, he opened his own high-end restaurant in New York and has been a regular judge on The Food Network. Viewers of the Food Network had the pleasure of watching Jeff Mauro go from unknown cook to culinary superstar. 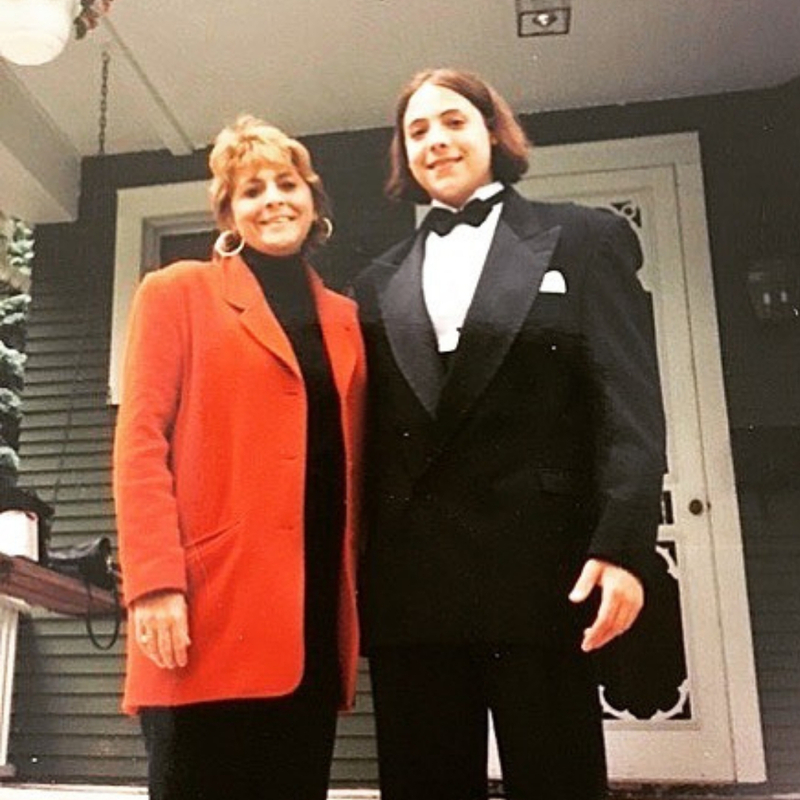 This photo from him at his senior prom was long before he won the seventh season of Food Network Star. Although he’s known as the Sandwich King, Mauro won the competition thanks to his humor and personality. Since rising to Food Network fame, he’s also become a co-host on the Food Network series The Kitchen and appeared in ads for Subway. Food Network chef Katie Lee is as cute as can be with her chubby cheeks while on vacation with her mother. Born in West Virginia, Lee grew up obsessed with food and even studied food science in university. She worked several restaurant jobs until 2005, when she started the foodie website OliveAndPeach.com. The fame from the website led her to become the original host of Top Chef and a judge on multiple other Food Network cooking shows. The smile of celebrity chef Rachael Ray is unmistakable. The only difference in this throwback photo is that permed hair! 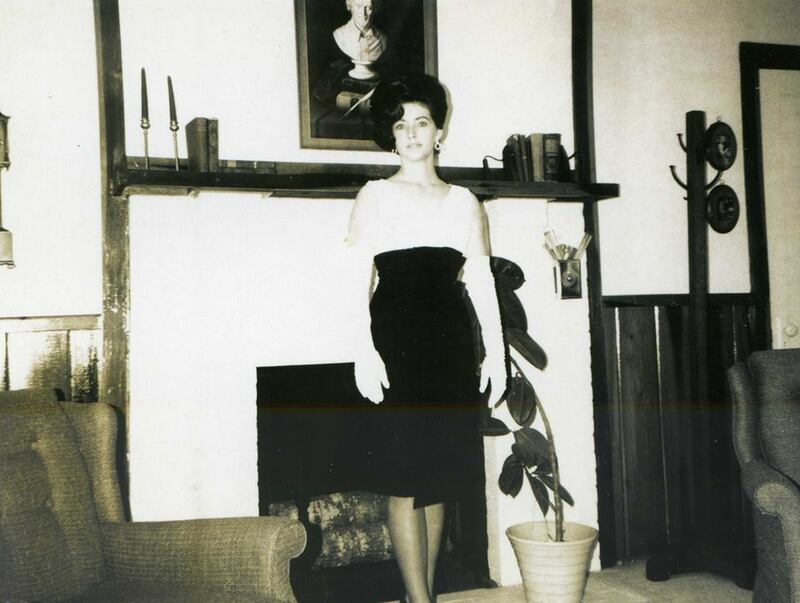 Ray was born and bred into the restaurant business since her mother managed multiple restaurants in New York. Eventually, Ray took up the profession and began managing restaurants too. She began cooking when she realized many people working at her food store were reluctant to begin cooking. She took classes so she could begin teaching other. 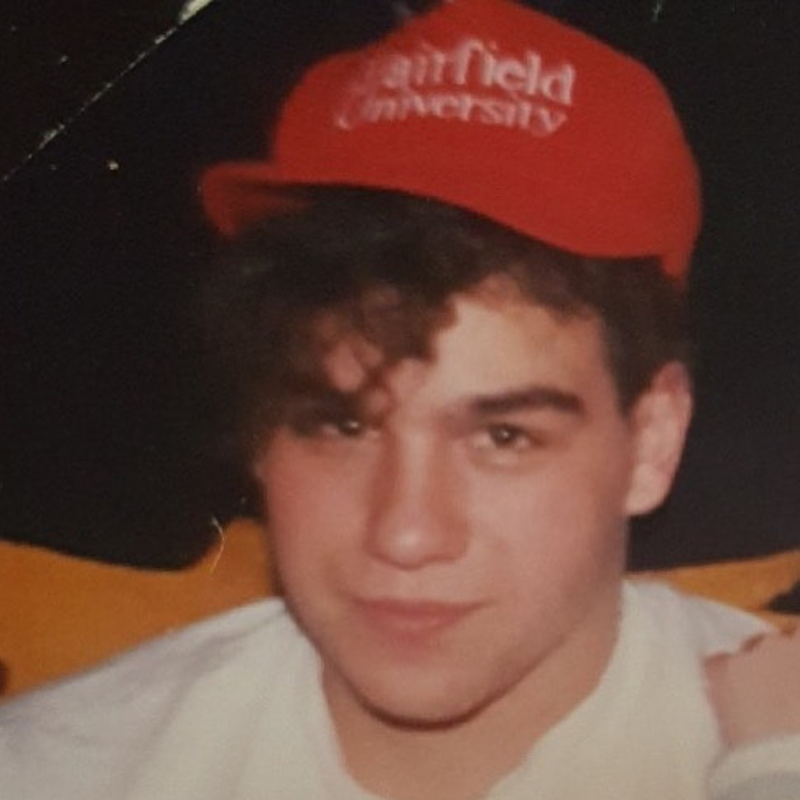 You’d hardly recognize chef Michael Symon with this full head of luscious, curly hair. The chef still has his notably thick eyebrows, but nowadays, he’s known for his gleaming bald head. He may have lost his hair but he hasn’t lost his credibility as a chef. Symon’s first cooking experience came when he worked as a line cook at a pizzeria. From then on, he graduated from the Culinary Institute of America and worked his way up the rankings in restaurants. 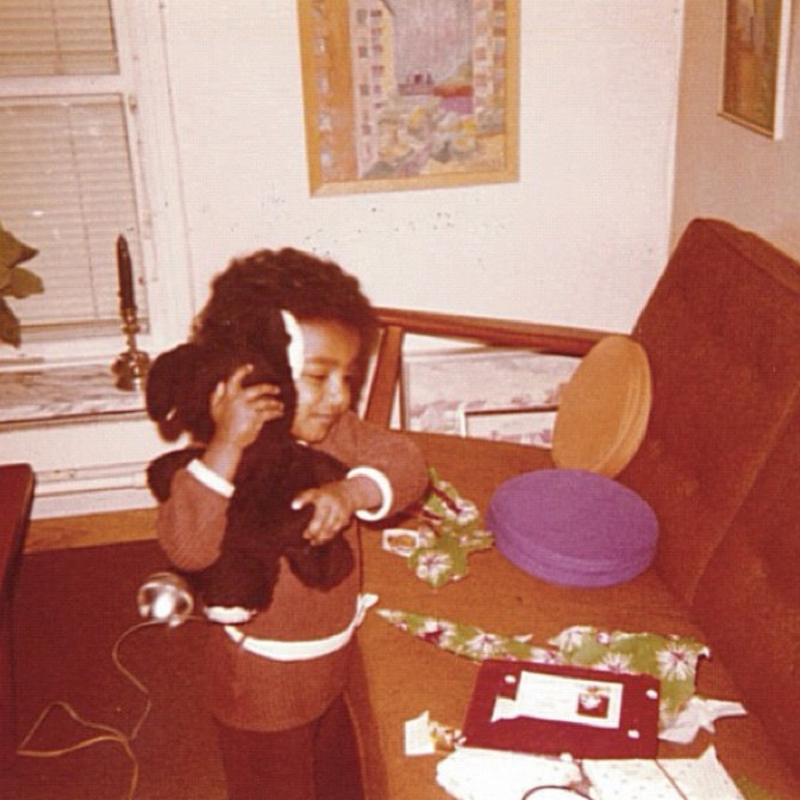 The Ethiopian-Swedish chef Marcus Samuelsson shared this touching photo of him and his first love: his teddy bear. His second love is cooking. Samuelsson began cooking through his maternal grandmother and was able to attend culinary school in Sweden. He was only 24 when he became the executive chef at a three-star restaurant, making him the youngest person to ever do so. Thanks to his restaurant success in Harlem, he’s a regular guest judge on The Food Network. You’ll recognize Nancy Fuller as the host of Farmhouse Rules and as a judge on multiple Baking Championships. She’s known for having a serious sweet tooth despite being raised on veggies and beef. Fuller grew up on a dairy farm and has advocated for “farm to table” food before it was even trendy. She credits the success of her catering business to cooking for a family of eight, three times a day, 365 days a year!